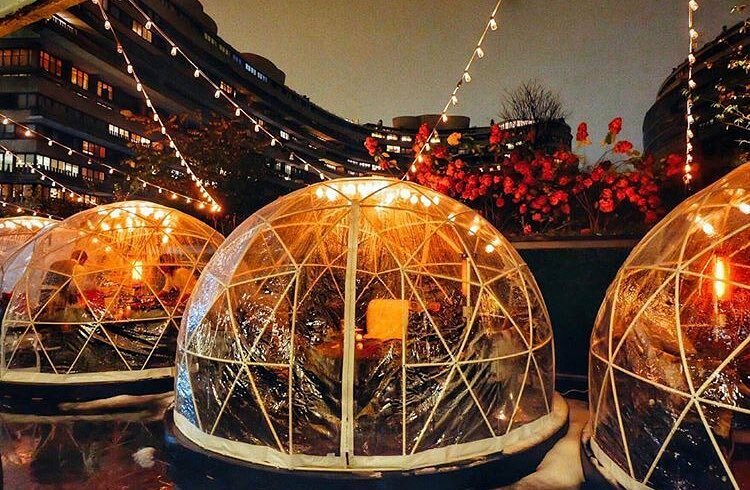 Adventures in DCLand: Rent One of The Watergate Hotel's Igloos This Winter! Try something new this winter by relaxing in one of The Watergate Hotel's igloos! We imagine a lot of people find creative ways to get together and hang out during the cold days of winter. But, we'll bet that you've never relaxed with your loved ones like this before. This winter, head to D.C.'s famous Watergate Hotel and spend some time in one of their five igloos! Oh, and don't worry that we're setting you up to freeze: the igloos are heated! Pick a time that works for everyone, and you and seven friends or family can spend some quality time together in one of five heated igloos that are decked out stylishly and comfortably. Cozy up in nice armchairs around relaxing lighting, and spend some time catching up or plotting how to tackle some of the tasks that come with the holidays. Plus, your party can order a variety of special menu items (from crab fritters or a charcuterie board, all the way to binchotan grilled lamb ribs), as well as drinks (whiskys, wines, and cocktails, and bottle service are all available). And be ready to keep ordering because there's a hefty per person food/drink minimum! Located on the patio of The Next Whisky Bar, Winter Igloo rentals start at $100 and can hold up to eight people (rental prices/minimums vary depending on number of people in your parts). Reservations are required. 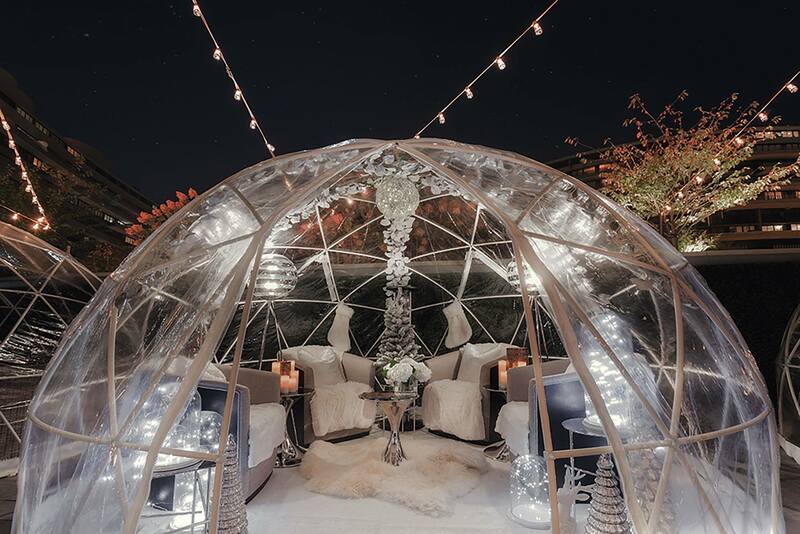 Wouldn't these igloos make a great setting for a small dinner party with friends? How about a romantic spot for a proposal? What do you think? 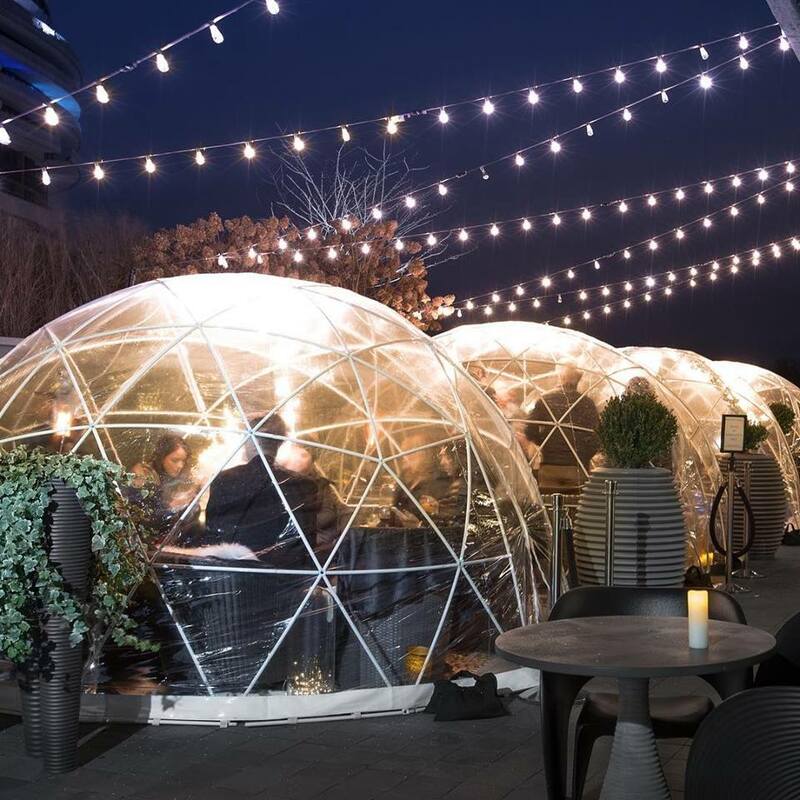 If you've spent time in one of The Watergate Hotel's igloos before, we'd love to hear all about it! Let us know all the little details in the comments below! Getting a Christmas tree? Here's where you can pull a Pa Ingalls and chop down your own!